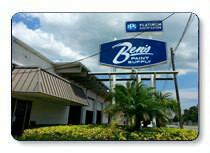 On Aug. 1, 2013, American Icon Auto Paint & Supplies became our 9th location! By combining the best of Ben’s and the best of American Icon, we can now offer our customers an even greater selection of goods and services. Please bear with us as we complete this transition. Our website should be updated with store information and new team member bios soon. Thanks for your patience! dsimpson@bensps.com Joining the Ben’s team as part of the American Icon acquisition in August 2013, Darlene served the owners there as an assistant, basically doing whatever needed to be done. She continues in that capacity helping Cyndy in the office and staging deliveries in the warehouse. She had been with AI over 30 years, having begun as a delivery driver in 1980. 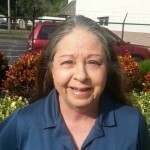 Of her time in Pinellas Park, Darlene says, “I have met so many wonderful people along the way. Each chapter has been a great experience for me, from gaining knowledge in the business to making life-long friends”. Outside the colorful atmosphere of the paint business, Darlene enjoys many forms of making music: guitar, piano and drums – but not all at once! She enjoys swimming and riding her Harley. Her love for animals includes a pet Chow and an Amazon parrot, who just will not be quiet!